Penticton, BC: The Penticton Vees (34-14-2-2) and Trail Smoke Eaters (20-23-7-3) are both coming off huge offensive performances on Saturday, and now meet for the final time this season at Cominco Arena Wednesday night. Penticton wrapped up their season series with the Vernon Vipers Saturday, blowing them out 8-2 at Kal Tire Place. Leading 1-0 after one on a goal from Ty Pochipinski, the Vees gave up the tying goal just 1:55 into the second period. Following the goal, the Vees took over. Goals from Jack Lagerstrom and Evan McIntyre just 14 seconds apart, then David Silye and Carson Kosobud less than two minutes apart gave the Vees a 5-1 lead 7:17 into the second period. Cassidy Bowes added a shorthanded goal late in the second before McIntyre and Kosobud scored their second of the game in the third period while Jack LaFontaine picked up his 27th win of the season with 33 saves. 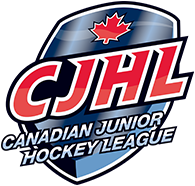 The win maintained the Vees three-point lead atop the Interior Division over the Merritt Centennials. 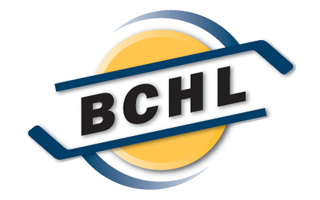 Penticton now has a game in hand over Merritt after they played three games in the Island Division over the weekend. The Smoke Eaters are nearing the end of a six-game home stand and hit double digits with a 10-3 victory over the Salmon Arm Silverbacks Saturday night. Trail scored six times in the first period and tacked on four in the second in the win. Max Kryski, Braeden Tuck and Mack Byers all scored twice while Tyler Ghirardosi recorded a hat trick. Saturday’s game is the sixth and final meeting of the season between Penticton and Trail, with the Vees holding a 4-1 record. The most recent meeting was the lone loss against the Smoke Eaters this year, 3-2 at Cominco Arena December 15. It was the back half of a home-and-home series that saw the Vees win 2-1 in a shootout the night before. Smoke Eaters defenceman Diarmad DiMurro scored the game winner with 5:36 to play, and Fred Harbinson was ejected moments later arguing there should have been goalie interference on the play.